MLS Platinum is a premium service offered by HAR to its REALTOR® members so they can better serve their clients. Platinum agents are all about faster response times, marketing and promoting a seller’s listing, providing their buyers with reports on real estate market trends and more. The MLS Platinum service is there to empower clients with the most sophisticated and powerful array of technology tools HAR members can provide. HAR is committed & proud to empower agents with the latest and greatest technology tools and services to serve their clients (buyers, sellers and renters). Platinum agents have the ability to promote your listings on their HAR-provided website as well as third-party websites. Buyers and sellers have access to a full-featured property search engine with mapping and Open House finder. Consumers can be sure they’re working with an experienced real estate professional who will be committed to service and putting their needs first. Platinum agents can show their responsiveness, attention to detail and market knowledge. Home buyers are looking for a fast way to ask questions and get answers from any agent. Platinum agents can do just that with the new chat feature on the HAR mobile app. Platinum agents can more directly manage their relationships with their consumers and respond right away. Platinum agents have the ability to offer a more powerful property search for their own websites including Open Houses, a School Finder and more. Platinum agents can display and market your listing on a Facebook business page to attract more users and appointments. Platinum agents can collaborate more directly with their consumers through Premium Content not publicly available on the HAR.com mobile app. Consumers will receive email alerts when properties matching their search criteria are listed. Platinum agents have access to promote your listings on social media sites like Facebook, Twitter, Instagram, LinkedIn and more. Whatever platform you use, we’ve got it covered. Platinum agents have the option to use click-to-call technology to respond to inquiries as soon as possible and attract leads on HAR.com from many different sources. Platinum agents can create beautiful and engaging property websites for every listing on HAR.com to better promote your listing. Consumers can rest easy knowing these property websites will be promoted on HAR.com and are a huge source of traffic generation. Consumers can view scheduled appointments for their listing, as well as relevant information about the surrounding areas including web traffic, comparable nearby properties and more. Platinum agents can receive sales activity on nearby listings including price trends and statistics. An Exclusive Feature for MLS Platinum Subscribers. The new Open House Registry App is a real benefit for HAR members and MLS subscribers. Agents can manage their upcoming open houses in one convenient dashboard and guests can sign in using the same app. Platinum agents have the ability to use the most powerful and innovative software to create beautiful market analysis reports. We’ve placed a small “Platinum Agent” banner over the bottom of agent profile photo to identify Platinum agents. 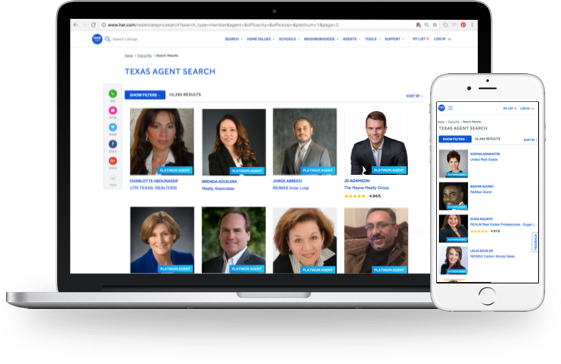 The popular Find an Agent tool on HAR.com now allows consumers to search specifically for MLS Platinum. Showings: Consumer have access to view Platinum agents showing activities on their profile. Recommendations: Consumers and past clients have the ability to provide recommendations about Platinum agents. Customize Neighborhoods: Consumers can view neighborhoods that agents specialize.